Stop into Ruckles today to enjoy lunch or dinner. 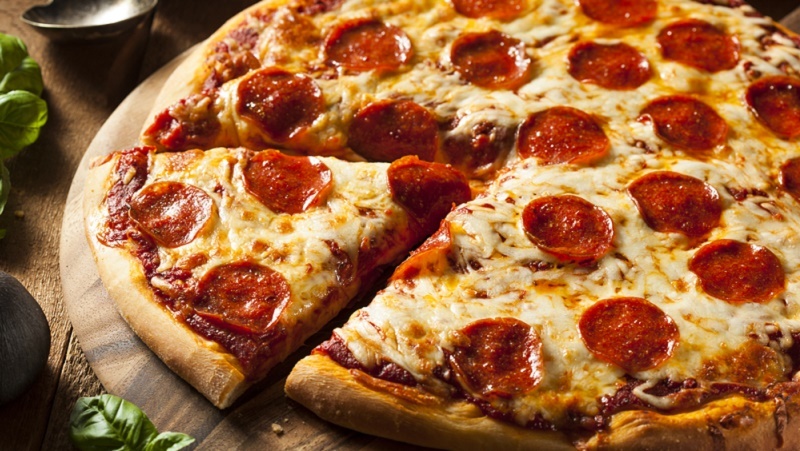 We’re famous for our homemade pizzas that our customers just can’t get enough of! There’s also a selection of tasty burgers, great dinner plate options, soups/salads, and many different unique appetizers! Don’t forget that there’s a full bar menu to keep the party going. Spicy, cheese-stuffed Raviolis, deep-fried and served with ranch. Creamy Mozzarella cheese with a light batter, served with Ranch dipping sauce. Mini hot dogs wrapped in honey cornbread, served with honey mustard. Breaded bites stuffed with broccoli, cheese & bacon, served with ranch. Homemade tortilla chips with seasoned beef, cheese sauce, Cheddar-Jack cheese, lettuce, tomato & onion. Salsa and sour cream on the side. Half order $5.99. Full order is enough to share! Lightly seasoned, deep-fried chicken wings & drummies served with celery sticks and bleu cheese. Lightly battered Zucchini Sticks served with ranch. Fries only $3.99. Add our homemade Chili & Cheese with a side of sour cream. Hand breaded pickle spears fried to a golden brown and served with ranch. Cream Cheese stuffed jalapeños served with ranch. Lightly breaded & deep fried mushrooms served with ranch for dipping. Thick sliced, beer battered, sweet onions, deep fried and served with ranch. Deep Fried potato skins, topped with Cheddar-Jack cheese & bacon, served with sour cream & salsa. Four Warm Pretzels, salted and served with nacho cheese for dipping. Mexican cheese dip made from scratch, served with our homemade tortilla chips. Enough to share! A baked flatbread pizza with your choice of 1 topping. Perfect for one person! Each additional topping $0.25 extra. Pizza dough topped with our homemade BBQ sauce, shredded chicken, pineapple, red onion, and cheese. Our delicious dough topped with Mozzarella & Provolone cheese mix, bacon, lettuce, tomato, and mayo. Pizza dough topped with thin-sliced beef, mushrooms, onions, green peppers, Mozzarella/Provolone cheese blend and our signature philly sauce. 100% Angus patty grilled and served on a bakery bun. 100% Angus beef patty topped with mushrooms and Swiss cheese. Burgers are served with chips and a pickle spear. 100% Angus Beef patty topped with American Cheese, Bacon, Onion Rings, and our secret family recipe BBQ sauce. 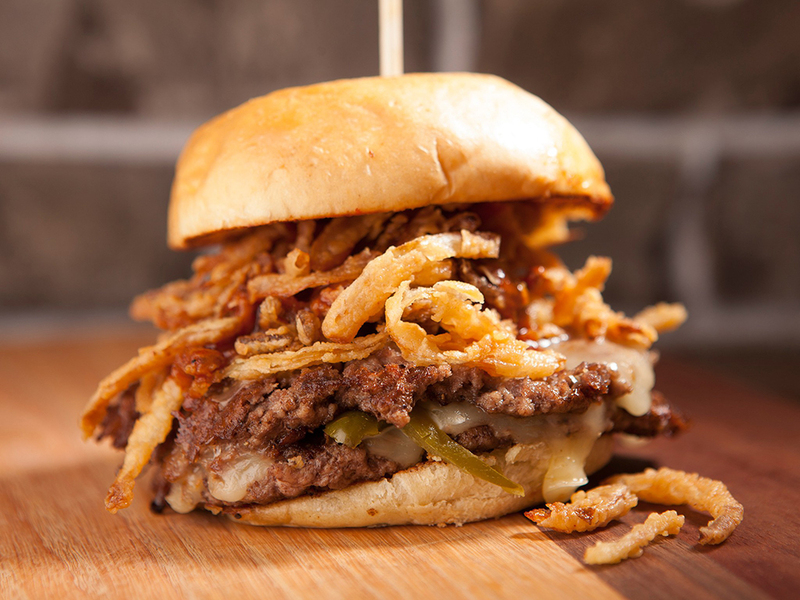 100% Angus Beef patty topped with Grilled Onions & Swiss cheese and served on our bakery fresh swirl Rye bread. Ask your server about menu items that are cooked to order. Consuming raw or undercooked meats or poultry may increase your risk of food-born illness. Lettuce, carrots, purple onion, egg, Ham, Turkey, Cheddar-Jack cheese, topped with tomato and seasoned croutons. Your choice of dressing on the side. Our own Homemade Chili is available every day. Chicken salad served with lettuce and tomatoes, on a croissant. Served with chips and a pickle spear. Three battered, deep-fried chicken strips served with your choice of sauce for dipping. Eight deep-fried, breaded, fantail Shrimp, served with cocktail sauce and a lemon wedge. Your choice of plain or Cajun. Served with either BBQ, Ranch, Buffalo, or Blue Cheese dipping sauce. All Baskets include french fries and choice of Cole Slaw or Cottage Cheese. Three pieces of Beer Battered Cod served with tartar sauce and a lemon wedge. Six lightly seasoned, battered & deep-fried Wing Dings, celery sticks, and blue cheese for dipping sauce. 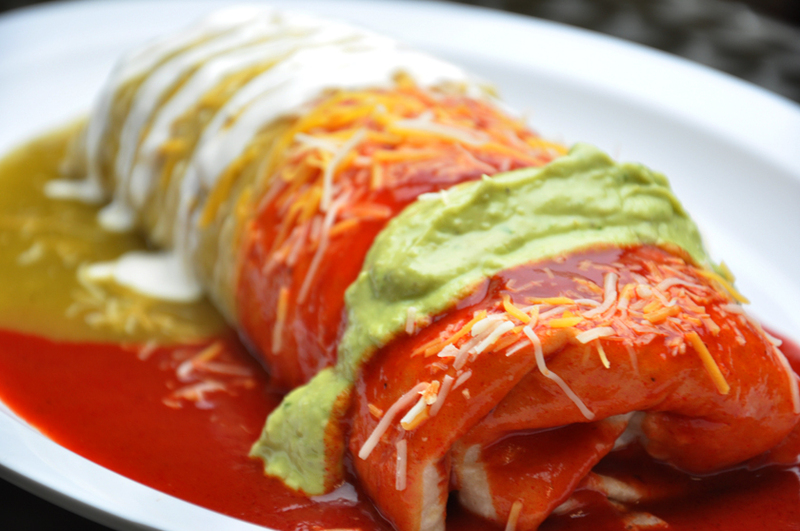 Seasoned meat and refried beans, wrapped in a tortilla and topped with sauce, cheese, lettuce, and tomato. Served with sour cream and salsa. Paninis are served with Chips and a Pickle Spear. Ham, Turkey, Bacon and mayo, with American and Swiss cheese, grilled on the panini grill. Sliced Turkey topped with Bacon, Swiss cheese and mayo, then grilled on the panini grill. Sliced Chicken Breast topped with Bacon and Swiss cheese, then gilled on the panini grill. Served with a side of ranch. Sliced Ham, Salami and Pepperoni topped with Mozzarella cheese, grilled on our special panini grill. Served with a side of Italian dressing.